To trade in or not to trade in: that is the question. Then again, you should also know that selling your car on the private market is a valid option. Depending on the state of your vehicle, you may be considering keeping and repairing it. Before entering the lion’s den—also known as a car dealership—ask yourself if you should really trade in your car. We’ve put together a list of reasons why you should trade in your car. Does any of the following apply to you? When is the right time to trade in your car? There are a number of market indicators as well as individual signs that you’re ready to trade in. The best time to trade in any used car is right before the new models hit the market because dealerships will want older models for a big sale. Depending on what you drive, certain times of the year are better for trade-ins than others; for example, a dealer may not need a convertible in the dead of winter. 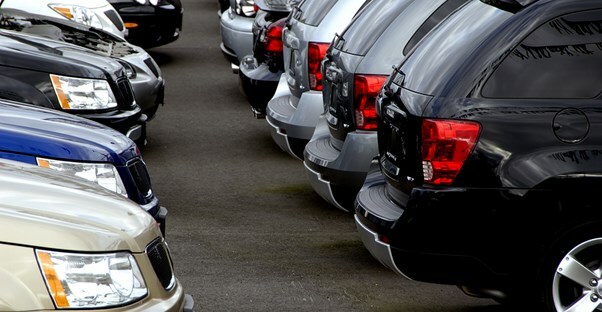 You should also ask yourself if you’re financially ready to trade-in your vehicle. If you still owe a lot of money on your car, you’re not in a place to trade in your car, as you won’t actually profit from the trade. You have a fresh car. No car will be as perfect as the day you drove it off the lot—if that was the case, the value wouldn’t plummet so quickly—but if your car is in good condition then you’ll get a good deal on your trade-in. What makes a car “fresh”? We’re talking about mileage. The average driver easily puts 10,000 miles on their car every year. If you only use your vehicle to go to work and home, then you’re in a favorable position to trade. Do you have less than 50,000 miles on your car? If so, expect a higher trade-in value than you’d get on a car with twice as many miles. Your trade in will lower the price of your new car. In almost every state, you can lower the full price of the new car by trading in your old one. You’re probably not looking forward to the sales tax on your new ride. In order to lower the price of your new car—thus lowering the sales tax—negotiate hard and get the best deal you can on your trade-in. Let’s say you’re buying a new car that’s worth $30,000. If you could only pay sales tax on $25,000, wouldn’t you? There are only eight states that won’t allow you to do this: California, Hawaii, Kentucky, Maryland, Michigan, Montana, Virginia, and the District of Columbia. You want it off your hands ASAP. Selling your car to a private buyer can take weeks. You have to go through the hassle of posting an ad, waiting for responses, then arranging a meeting time for a test drive. Although you can typically get more money for a private sale, you won’t get it instantly. Furthermore, some private sellers will have a discerning eye; a dealership will take your car no matter what, even if they need to tow it. An individual may walk away from the sale if there are too many miles or there is cosmetic damage. If you don’t want to pour money into repairing your car for private sellers, you should consider trading it in instead.